"Winter's Lie" was recorded in the most recent sessions for my 2015 album, "Common Law Wife". It was one of my favorite songs on the album and it pained me to leave it off, but I felt like it just didn't fit in with the overall tone of the rest of the songs. 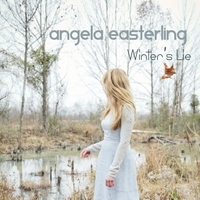 I decide to give it it's own release, in wintertime, since that is the main image in the song. I wrote this song as two dear friends of mine were going through a painful divorce. It was hard to see, and reminded me of in wintertime, when the snow falls, everything looks so perfect and beautiful, but then it melts away, like it was never even there. It gets trampled and dirty. But even in the frozen darkness there is still hope, in the painful and beautiful process of letting go.